A December 2018 rally against evictions in Cambridge’s Central Square. 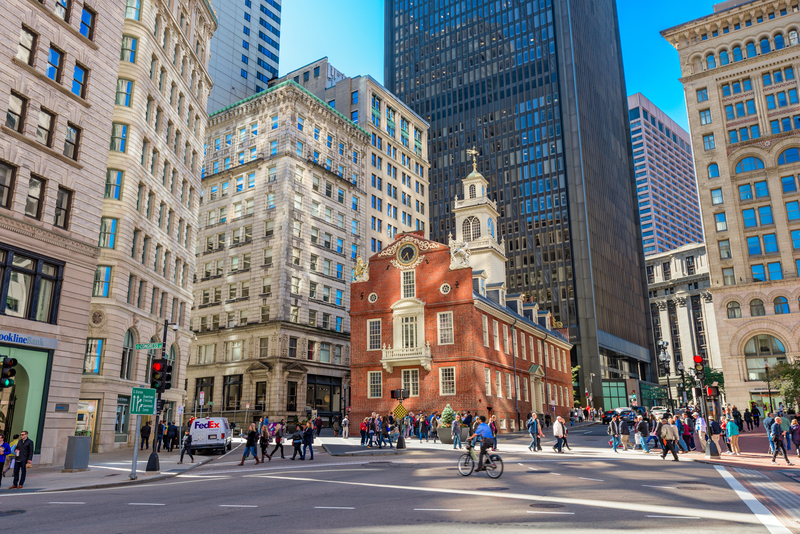 Some 25 Massachusetts cities and towns risk losing all of their subsidized housing by 2025, a new report from the Federal Reserve Bank of Boston says. 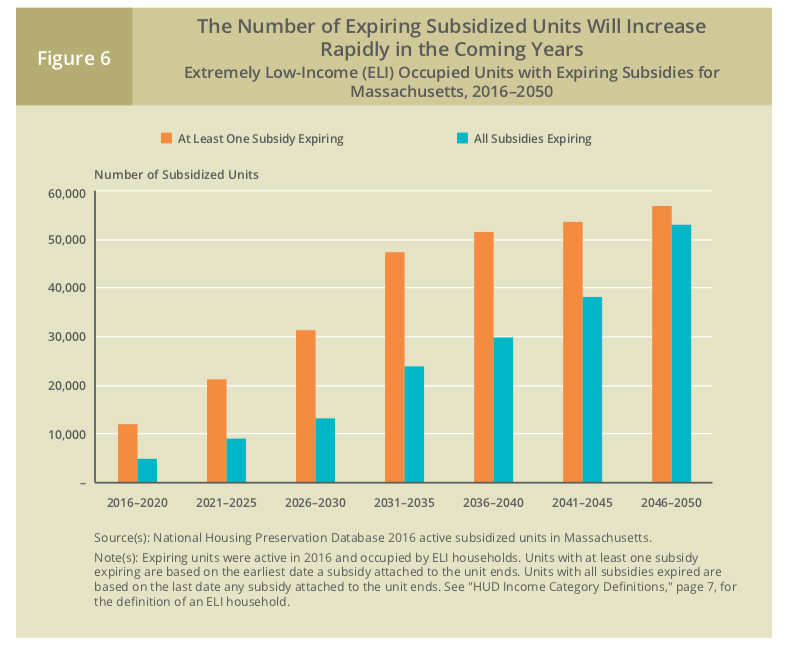 That is because of the likely expiration of subsidies and the expected conversion of subsidized housing to market rate. The Fed report analyzed federal data surrounding what are defined as extremely low-income households—those with a total annual income at or below 30 percent of the area median income. 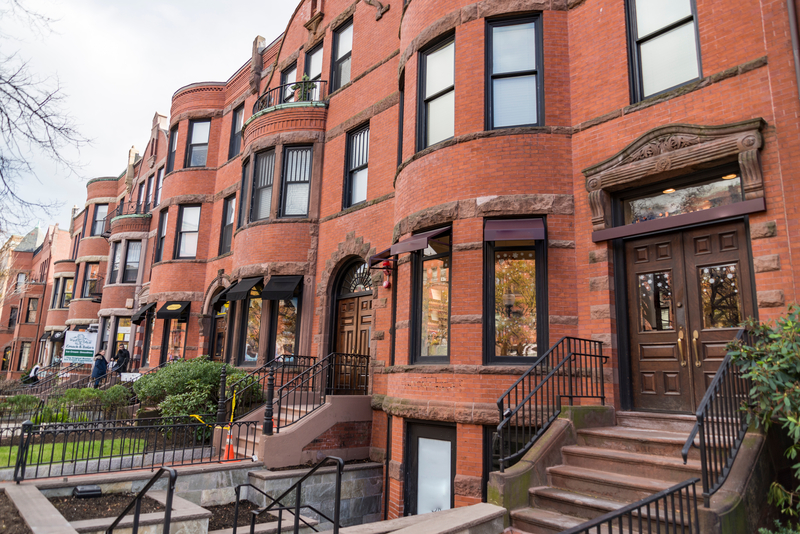 The state overall is expected to lose 9,110 subsidized housing units by 2025 that extremely low-income households occupied in 2016. The losses are expected to mount from there. In general, these households already spend a disproportionately high share of their income on rent—or what analysts call being rent-burdenened. 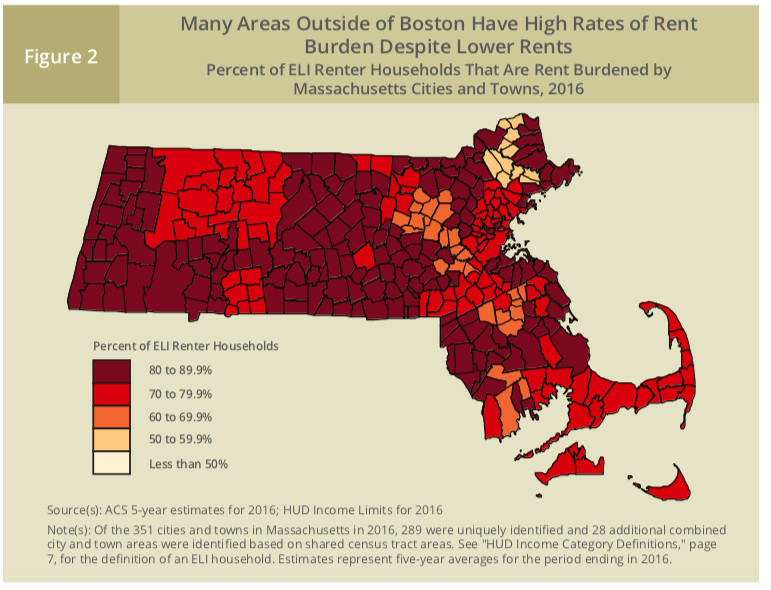 The trend is particularly acute beyond Boston proper, despite these cities and towns having lower rents to begin with. 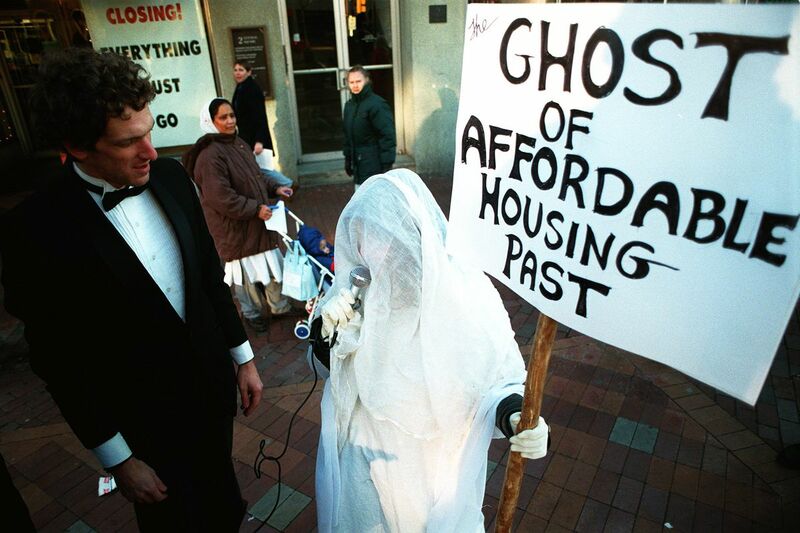 As for the expiring subsidies and the loss of affordable housing, stemming the decline will be costly, the Fed report says: “[B]etween $843 million and $1.03 billion will be needed annually to preserve expiring use units and increase the subsidized housing inventory sufficiently. Dudley Square development ideas include housing aimed at Boston teachers There are four contenders for the site of the old police station across from the Dudley Station. 8 T stops likely to see a lot more riders soon Major new developments near these stations are expected to drive the bounces in ridership. Is the system ready? 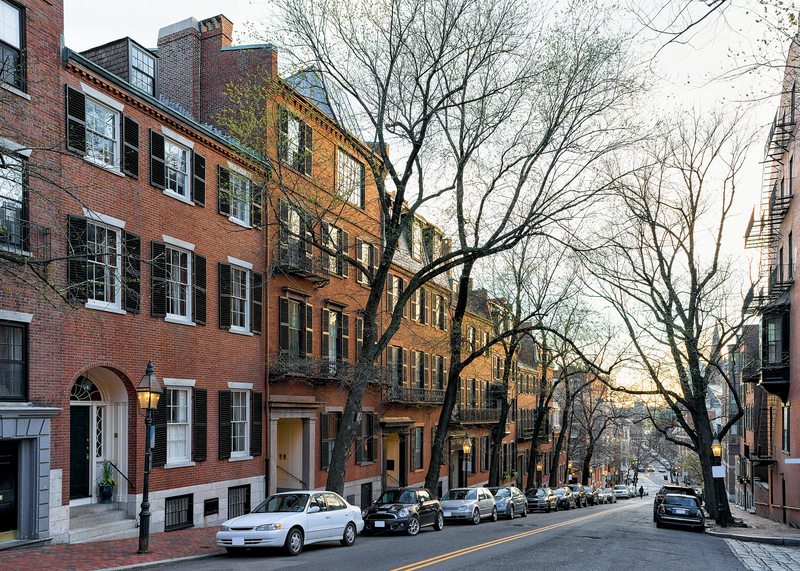 Tweaked Back Bay townhouse with 16 rooms, one loggia on sale for $600,000 off now The eight-fireplace spread includes six elevator-connected floors of living space. There are four contenders for the site of the old police station across from the Dudley Station.